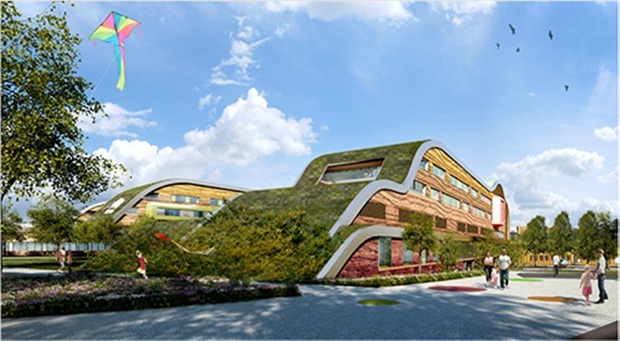 Titan Products are proud to have supplied the Fan Coil and Chilled Beam controllers for the redevelopment of Alder Hey Hospital, Liverpool. The controllers were supplied to maintain a comfortable HVAC environment within the hospital via energy efficient control. Titan Products supplied 200 x FCU-402 controllers which were programmed to control the 0-10V heating and cooling valves along with EC Fan control within each fan coil unit. Along with the physical control, special software was also created for the project to expose the energy usage of each fan coil as an analogue BACnet point. This allows the energy usage information to be read via the BMS at any time and automatically recorded. Titan Products worked closely with the integrator to ensure this feature was developed within the tight time frames on this project. 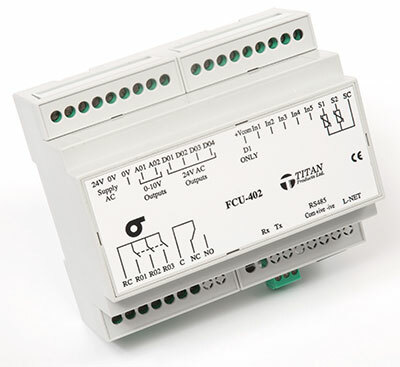 For the chilled beam controllers, Titan Products developed a pre-wired enclosure that housed a CCM/MZ multi zone controller that controlled 2 x chilled beams individually covering 2 zones. Catering for over 120 chilled beam zones, each beam required 0-10V heating and 24V AC cooling control which was easily accommodated for through the CCM/MZ. The CCM/MZ also provided inputs for individual temperature sensors, temperature set point adjusters and dew point sensors for each zone. All these peripheral products were supplied by Titan Products. 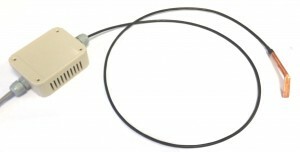 The TPDPFL dew point sensor from Titan Products calculates the Dew Point at which condensation will occur. It does this by measuring the temperature and humidity levels within the chilled beam unit. The sensor then provides a 0-10V signal scalded across 75-90% of this dew value and as this signal increases the CCM/MZ will begin the close down the cooling output for the individual zone where the levels are approaching dew. This prevents condensation from forming and falling from the chilled beam. All CCM/MZ controllers are supplied with BACnet communications as standard which allows the control to be integrated into the patient entertainment systems. This will allow the patients to alter the temperature conditions in the wards through their own individual screens. Titan Products supply high end London Riverlight Development. This entry was posted in BACnet Controllers, Projects and tagged Energy Efficient. Bookmark the permalink.